Every time you pull up to the pump, you have a choice of regular vs. premium gasoline. You might assume that the more expensive one is better, but is premium gas always the best choice? Does it depend on the car you drive? There’s a big difference in the hit you’ll take in your wallet, so let’s look at the facts. Premium-level gas has a higher octane level than regular, lower-priced gasoline. The octane rating represents the chances of engine combustion occurring at the wrong time. The higher the octane rating, the less likely it is for combustion to occur at the wrong time. When combustion happens at the wrong time, it’s called “pre-ignition,” and you’ll hear the sound of your engine knocking or pinging. Is Premium Gasoline Always Better? Sometimes. Gasoline with a higher octane rating doesn’t always assure higher performance. Other factors, like the engine’s technology and powertrain design have an impact. And, higher-octane gas contains the same engine cleaning capabilities as lower-octane fuels, so there’s not a benefit there. But you should know that newer vehicles come equipped with knock sensors, which use the spark plug timing to eliminate engine knock. So while you may not hear a problem with using lower-octane fuel, you also might not be realizing your car’s full potential either. The best gas for you is whatever the manufacturer recommends for your vehicle. Consult your owners manual, or look on the sticker inside your fuel door. If premium gas is required, you’ll see a sticker that says “Premium Unleaded Fuel Only.” If premium gas is simply a recommendation, then it’s not required to prevent damage to your engine. Long story short, you want to use fuel with the right octane so you’ll get peak engine performance – horsepower, torque, and fuel economy – from your vehicle. 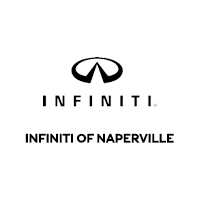 At INFINITI of Naperville, you have your choice of a huge inventory of high-performing vehicles, such as the INFINITI Q60. Learn all about your options. Just schedule an appointment today, and stop in and see us. We’re located conveniently near Lisle and Chicago.